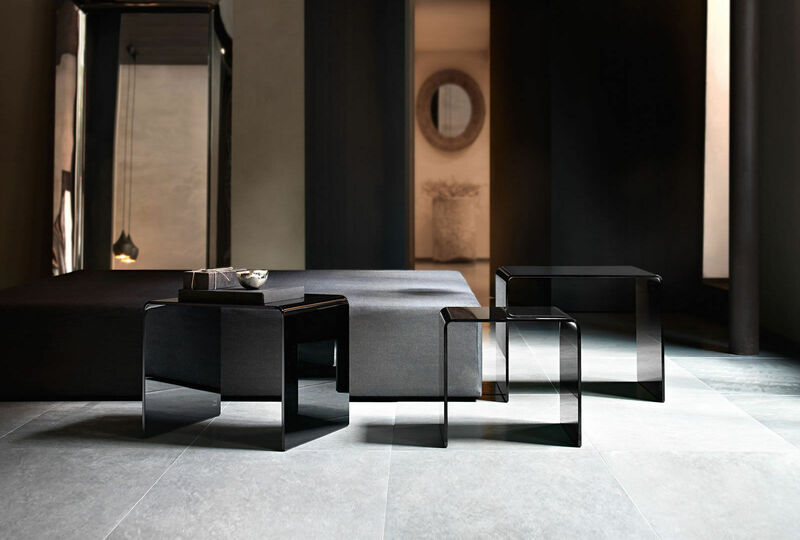 Our compact and stylish side tables reveal an Italian design sensibility. Made of a range of materials including glass, oak and epoxy, these products combine structure and stability with an elegant figure. Our side tables come in various shapes and sizes and are perfect for working, reading, eating or holding items.